Every time we switch on an electrical appliance, we hurt birds. Every technology that produces electricity or delivers it to our homes kills birds, some more than others. Up to 2 million birds died when they mistakenly landed in oil pits to bathe and drink in 1997 alone. 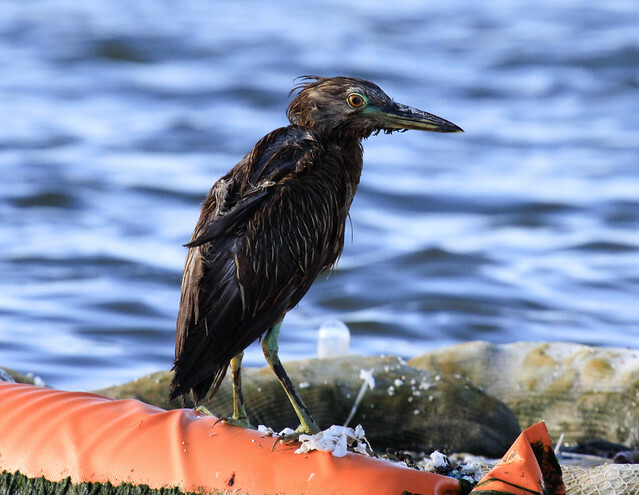 There are no estimates of the number of birds affected by oil and gas spills, oil and gas extraction and transport, toxicity from mercury and other power plant emissions, and the effects of acid rain and global warming. Even the cleanest source of electricity, wind power, can kill birds outright. And no matter how the electricity is produced, transporting it along transmission lines also kills birds. Conserving energy can at least minimize the problems for birds. Whatever method the local power company uses to produce electricity, it has an impact on the environment and the birds that share it with us. Electricity produced by the burning of fossil fuels, especially coal, has the highest environmental cost. Mining for coal can degrade or destroy huge areas. For example, in Pennsylvania, 3,500 miles of streams and creeks are now sterile as a result of acid runoff from coal mines. The mining of the coal beds in Montana, which were first discovered by Lewis and Clark, has led to terrible degradation. It costs billions of dollars to reclaim land after mining, and toxic water left behind may remain poisonous for generations. Mountaintop mining in Tennessee is destroying critical habitat for the threatened Cerulean Warbler. Coal-burning power plants are the single largest source of mercury pollution, which comes down to earth in rainwater and poisons lakes, rivers, and streams. According to the U.S. Geological Survey, coal-fired utilities and industrial boilers contribute over 86 percent of the mercury in the atmosphere. A 1999 report by the National Resources Research Council, Mercury Falling: An Analysis of Mercury Pollution from Coal-Burning Power Plants, states, “A high percentage of commercial fish, such as tuna and pollack, are now contaminated with traces of mercury. Concern over mercury contamination in 40 states has led government agencies to warn consumers not to eat bass, trout, and other sport fish caught in over a thousand lakes and streams.” Meanwhile, the blood and tissue mercury levels in loons, Osprey, Bald Eagles, and Belted Kingfishers are increasing. The amount of fossil fuel required to burn coal is enormous. It takes about 200,000 gallons of oil simply to start a coal burner. Diesel fuel is needed for extracting, transporting, and cleaning the coal, and then the ash must be transported to a landfill and buried. Our tax money provides subsidies to coal companies and to states with coal mines to clean up streams and repair roads, allowing corporations to make their profits without taking into account the real costs of coal production. Nobody has ever figured out the true economics of coal-produced electricity. Extracting and transporting gas and oil also cause pollution, oil spills, and other dangerous environmental problems. Our dependence on oil has led to wars that have exacted a horrific human toll, to say nothing of the damage done by bombs, land and water mines, bullets, defoliants, and other military technologies to a war zone’s environment and its inhabitants. Burning any fossil fuel, especially oil and coal, spews nitrogen oxides, sulfur dioxide, particulate matter, mercury, and carbon dioxide into the atmosphere. Small amounts of toxic metals such as arsenic, cadmium, chromium, and nickel are also released. Major environmental issues related to these pollutants include smog (particulate matter and ground-level ozone) and acid rain. The latter affects the composition and growth of forests in the eastern United States and Canada, which in turn affects insect populations and thus insectivorous bird species. Acid rain also depletes the soil of calcium, reducing the amount available to the invertebrates that provide food for birds. 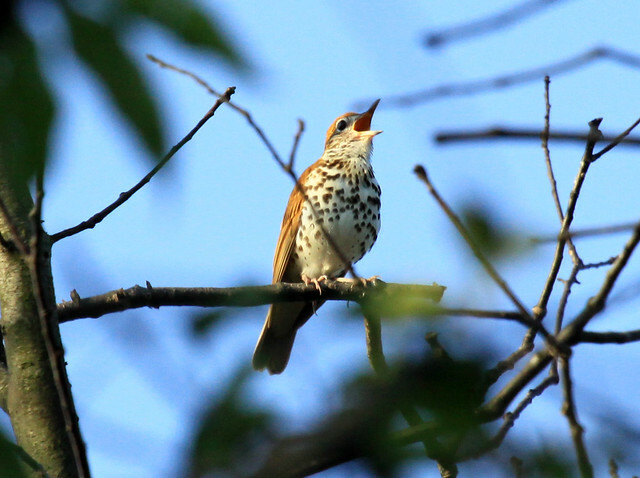 This loss of calcium in birds’ diets apparently causes eggshell thinning and less calcium in the bones of the nestlings of some species, such as the Wood Thrush. The release of carbon dioxide by power plants burning fossil fuels contributes to global warming, which is already having a serious impact on the migration patterns and ranges of birds, damaging their ecosystems and exacerbating the damage from tropical storms and hurricanes, which are increasing in strength due to rising ocean temperatures. Higher ocean temperatures also contribute to the decrease in plankton and fish populations in northern waters, which has caused a catastrophic loss of seabirds. In 2001 nuclear power plants provided about 20 percent of the electricity in the United States. Nuclear power plants normally release few contaminants into the air, making them far cleaner than coal or petrochemical plants. But the United States has not reached any kind of consensus about the safest and most prudent ways to deal with nuclear waste products, which remain contaminated for centuries and even millennia. Seepage of nuclear waste can seriously endanger groundwater, crops, and wild plants, as well as humans and animals that get their water and food from them. Also, the possibility of a reactor accident is a clear and present danger, especially in this time of terrorist threats. How likely and how potentially dangerous are such accidents? Home owner and auto insurance policies specifically exclude nuclear plant accidents from their coverage, and Congress strictly limits the liability of utilities and nuclear plant builders and indemnifies Department of Energy private contractors from nuclear incidents, even in cases of gross negligence and willful misconduct, through the Price-Anderson Nuclear Industries Indemnity Act. Clearly, a nuclear reactor event can cause enormous and lasting damage to the environment and all living things. 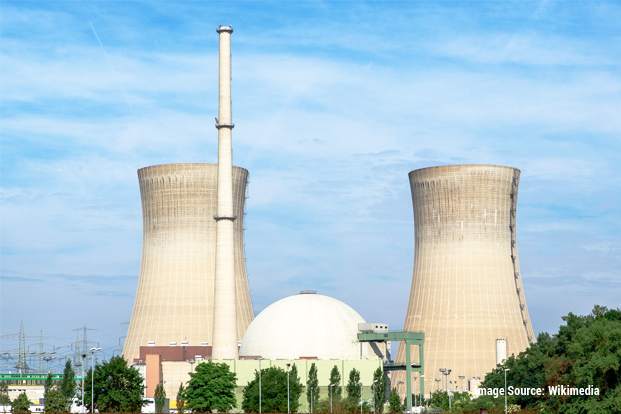 Conserving energy reduces the amount of nuclear wastes produced and reduces the number of reactors built, thus reducing the likelihood of accidents. Hydroelectric power is clean, insofar as it doesn’t release contaminants into the air. But hydroelectric plants affect not only local waters but also streams and lakes far downstream. The transport of suspended solids can be significantly reduced below reservoirs, affecting the oxygen content of lower-lying lakes. Reservoirs also trap nutrients, making them unavailable downstream. The collapse of the population of landlocked salmon in the Pacific Northwest was most likely caused by the construction of several dams that reduced the nutrient content of downstream waters. The more people conserve energy in areas that use hydroelectric power, the fewer dams needed. Wind is a renewable, clean energy source, making it the most environmentally friendly source of electricity. The problem is that wind turbines kill birds and are even more dangerous to bats. According to Avian Monitoring Studies at the Buffalo Ridge, Minnesota Wind Resource Area: Results of a 4-Year Study, a report prepared for Northern States Power Company, “Results of monitoring studies conducted in Europe and California indicate that raptors (birds of prey), passerines (songbirds), shorebirds and waterfowl are the most susceptible to turbine collisions. Several factors, including avian abundance and composition, geographic area, prey abundance and wind plant characteristics, determine the potential for avian mortality.” The Minnesota study found that most of the fatalities were nocturnal migrants and that large numbers of bats were killed by the turbines as well. Many of the best places to build wind turbines, with the most reliable and optimal wind conditions, are along shorelines and bluffs—precisely the places where bird migration is the heaviest. In California, the huge wind farm at Altamont Pass in Alameda County kills between 881 and 1,300 raptors annually, almost all during the winter migration season. 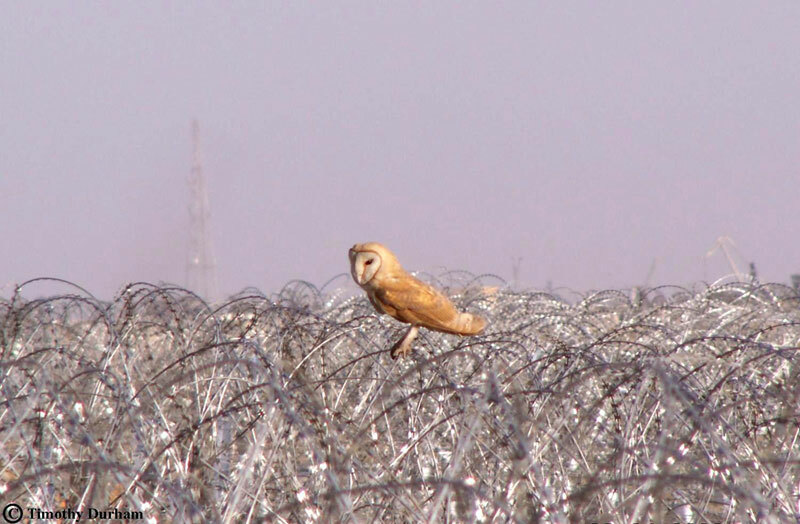 But the effects of wind power on birds aren’t entirely understood yet. A 2005 radar study of large bird movements near a wind farm off the coast of Denmark indicated that birds simply flew around the farm or between the turbines; less than 1 percent flew close enough to be in danger of colliding with the giant structures. Even a small wind turbine can cause mortality. A friend of mine who built one for his own power generation was startled one night by a sudden power outage. 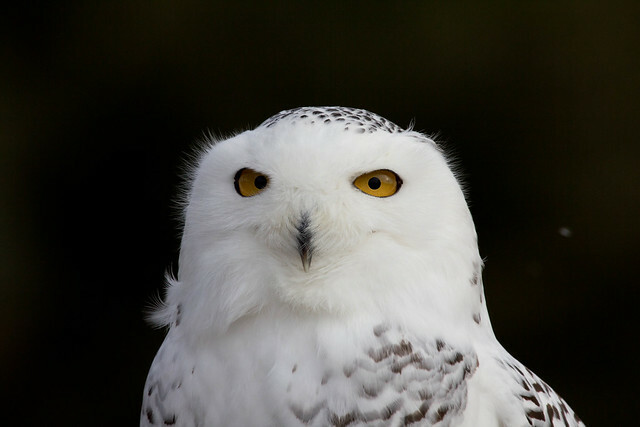 He went out to investigate and discovered the mangled carcass of a Snowy Owl that had been killed by the turbine blades. 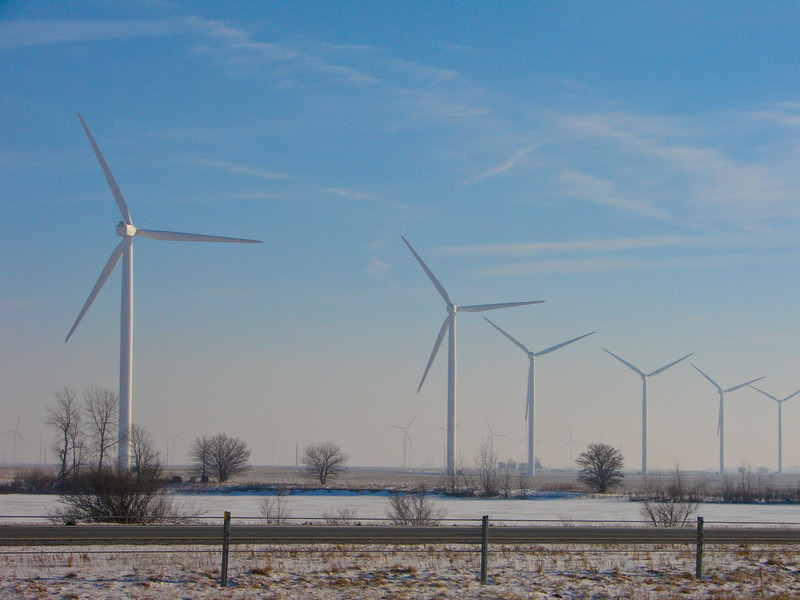 Wind turbines, especially on wind farms, can also cause habitat fragmentation and disturbance. Seven of twenty-two grassland species that typically nested in an area where some Minnesota wind farms were constructed were found in smaller numbers after turbine construction. 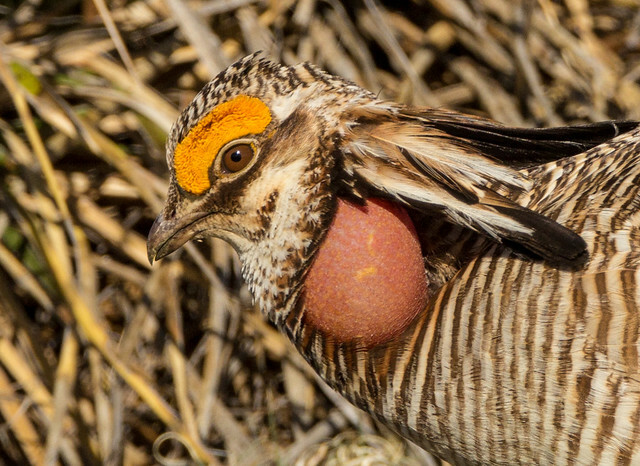 Grassland habitat is already diminishing at a rapid rate, and most avian species associated with it are also declining, so wind farms may reduce their potential nesting habitat even further. The best alternative in agricultural areas is to place wind turbines in row crop fields (corn, soy, wheat, or barley), where the habitat doesn’t support grassland species anyway. I think moving toward alternatives to fossil fuel is so important that I believe some limited avian mortality at wind farms is unfortunate but may be necessarily acceptable. That goes down hard for many folks—it’s rather like sawing off your foot when you have gangrene—extremely unpleasant, and it cannot be seen as a “good” outcome, but is inescapable. I only hope we do take extreme care about coastal sites and learn more about the effects on bats, and maybe do mitigation by turning some sets of turbines off during peak migratory periods and the like. Even though turbine kills are relatively small in magnitude, as wind power becomes an increasingly popular alternative to dirtier forms of power generation, we need to find ways to minimize bird kills. There may be ways to construct turbines to give birds auditory or visual cues to help them avoid collisions. Focused research is necessary, especially before wind farms are located near migration pathways and stopping points. But again, conserving electricity will minimize the number of turbines needed, thus protecting birds. No matter how electricity is produced, delivering it along transmission lines is dangerous to birds. 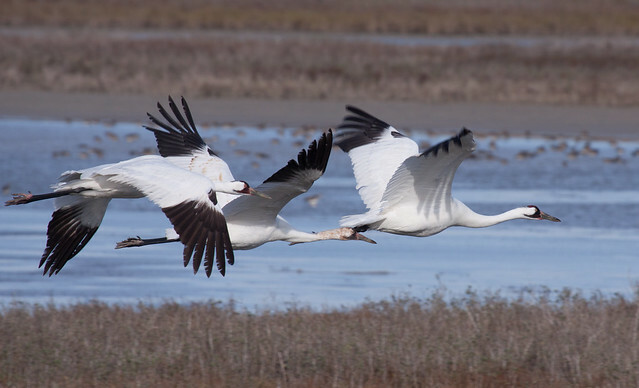 In July 2005 a year-old Whooping Crane that was part of the reintroduction program in Wisconsin died after colliding with a power line over a cornfield. The U.S. Fish and Wildlife Service estimates that up to 174 million birds are killed by collisions with power lines each year, and more than a thousand hawks and eagles are electrocuted. A U.S. 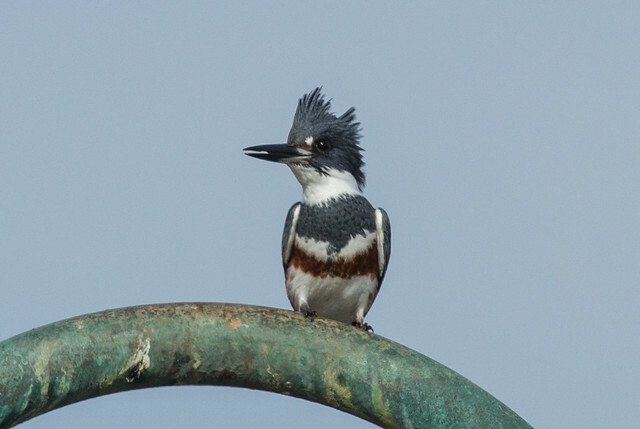 Fish and Wildlife Service technical report published in 1987 showed that 68 percent of birds flying in the vicinity of power lines do not react to them, and some birds that do react to one wire flare up and strike another. 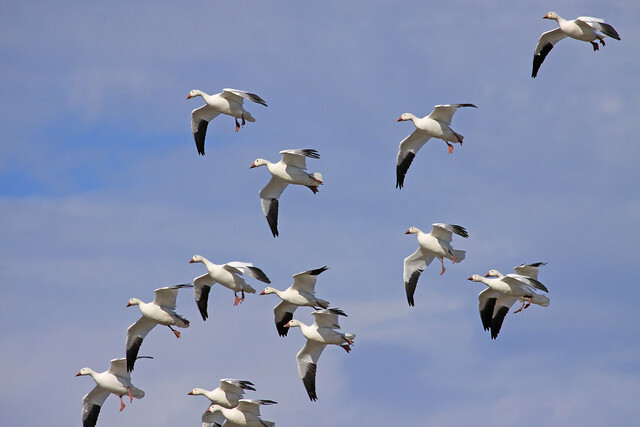 Flying birds have difficulty gauging their distance from wires suspended in the airspace in front of them. 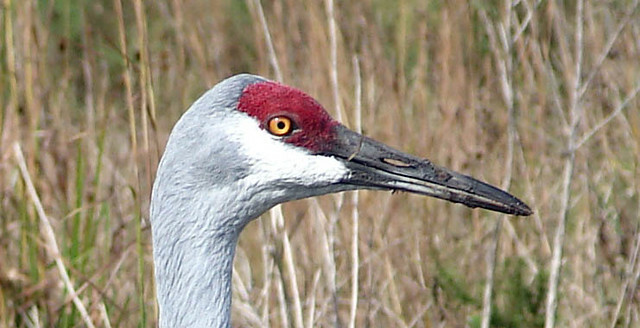 At the end of the 2003 Sandhill Crane spring migration season along the Platte River in Nebraska, people from the Audubon Rowe Sanctuary picked up 150 carcasses of cranes that had been killed by power lines. This number did not include birds that had been crippled or killed and then carried off by scavengers or predators or crippled cranes that died after wandering away from the lines. In the spring of 2004, I visited the observation blind at the Rowe Sanctuary on the morning of March 10. As dawn approached, thousands of cranes took off in a thunder of wings. After they disappeared to spend the day feeding, one lone crane remained, its wing horribly skewed. This bird, apparently injured by the power lines the night before, had joined the others to roost and now wandered into the weeds to spend the day alone. Ten minutes after the flock had departed, one crane returned and circled over, and over, calling. I suspect that this long adult was the mate of the crippled bird. Thus, a single power line collision may have resulted in the loss of two birds from the reproductive cycle for at least that year. The power lines strung across the Platte have long been known to kill cranes. When I visited the sanctuary in the spring of 1996, seventeen dead cranes had been picked up one morning under the power lines. Volunteers and staff of the Rowe Sanctuary worked with the local power company to fit the lines with little plastic spirals, called bird flight diverters, which help the cranes see and gauge their distance from the wires. The “Firefly Bird Diverter,” a more sophisticated model, consists of a heavy-duty plastic card with a special reflective coating that is highly visible to birds. 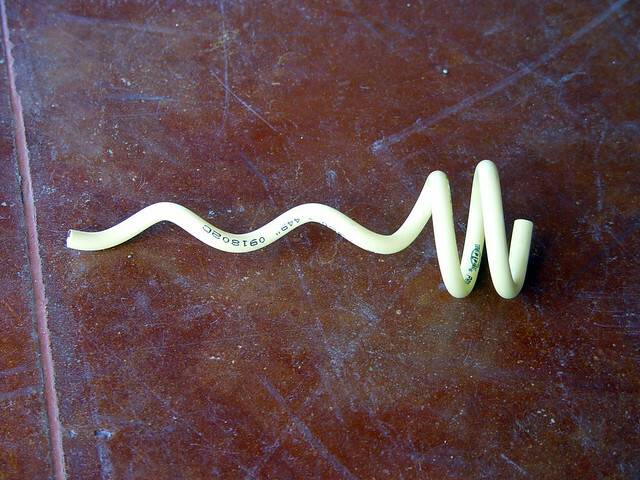 The 3 1/2 by 6-inch card hangs from a swivel attached by a clamp to the power line or a tower guy wire. The card rotates in winds as light as three to five miles per hour, alerting birds to the obstruction. The coating glows at night for up to ten hours, so it can help prevent nocturnal collisions as well. Sadly, even with the diverters in place, there can be collisions, especially during foggy conditions. It can be prohibitively expensive to retrofit existing power lines with any kind of flight diverters. And despite the fact that diverters are cheap to make and easy to install when transmission lines are initially erected, most transmission lines in the nation are still built without them. Far fewer birds are electrocuted by power lines than killed in collisions with them, but electrocution is still a significant form of avian mortality, especially for raptors and other birds with large wingspans. James Dwyer, a graduate student at the University of Arizona’s School of Renewable Natural Resources, discovered that electrocution is responsible for 80 percent of all Harris’s Hawk deaths in the Tucson area. In 2004 he was working with the Tucson Electric Power Company to place bird guards on utility poles within 1,000 feet of known Harris’s Hawk nests to reduce the number of deaths. 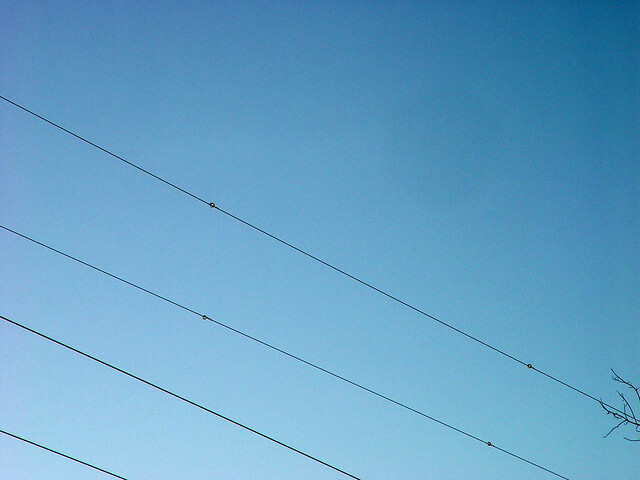 As with flight diverters on wires, it’s expensive to retrofit utility poles with bird guards, and although the power company deserves credit for cooperating with the project, power companies have known for many decades that their structures are lethal to birds, yet they have constructed millions of power poles without these safeguards. As with so many issues, bird electrocutions are bad for humans as well. 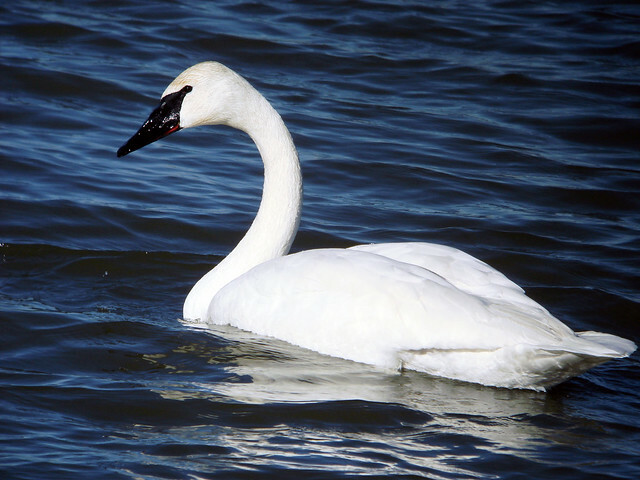 One power outage in Saginaw, Minnesota, in the spring of 2001 was started when a Trumpeter Swan, taking off or landing in a small pond, was electrocuted by power lines. Its smoldering body ignited a grass fire. In 2004, a major fire in the foothills of Santa Clarita, twenty-two miles southwest of Los Angeles, charred over 5,000 acres and caused the evacuation of 1,600 homes; that fire was ignited by the burning body of a Red-tailed Hawk electrocuted by a power line. As the burgeoning population demands more electrical power, the largest power companies build up power grids to allow them to supply energy to larger markets, requiring more transmission lines covering more land and endangering more birds. To make a real difference, the best thing we can do is to limit the amount of electricity we buy from power companies. In most cases, it’s cost-effective even in the short term to invest in solar cells that heat water for household use. Unfortunately, it’s far more expensive to build a system of solar cells to generate electricity, although good systems can provide most or all of a house’s electricity and even create a surplus that can be fed into the power grid. Many environmental groups, the Environmental Protection Agency, and most power companies provide free information about ways to conserve electricity in the home.